Six contributors here examine one of the definitive paintings of the Italian Renaissance. Renowned for the grandeur of its characterisations, both sacred and mortal, for the perspectival illusion of its monumental architectural setting, and for its compelling depiction of a human skeleton, the fresco was famous from the time it was painted in the 1420s, and remembered despite its having been hidden from view for nearly two centuries. 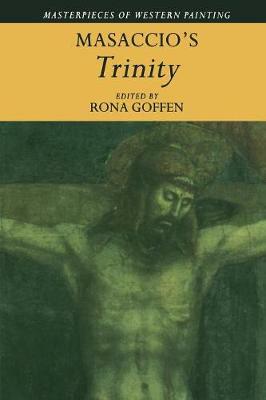 This 1998 volume considers the Trinity in its historical and spiritual contexts, its relation to the symbolism of the Trinity, and its liturgical function in the great Dominican church of Santa Maria Novella. Also emphasised are the extraordinary features of the painting, especially its system of spatial illusionism, its problematic state of conservation, and the conception of time and space that the artist masterfully visualised.